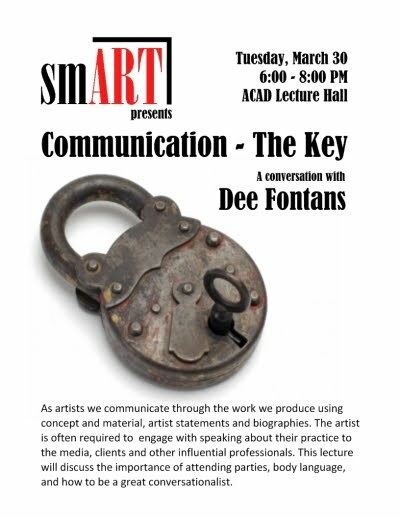 The smART group is having another speaker event, Dee Fontans of ArtaWearness fame, among other things. Dee is so great to do this for us, as I know she is a very busy person. She is someone I respect as an artist and as a person, and I feel I’ve learned a lot about both life and art from her. The talk is Tuesday, March 30th, at 6PM in the lecture hall at ACAD. The poster is below.